I spoke about my experience at the Beauty Vision India exhibition held recently in Mumbai in a previous post. 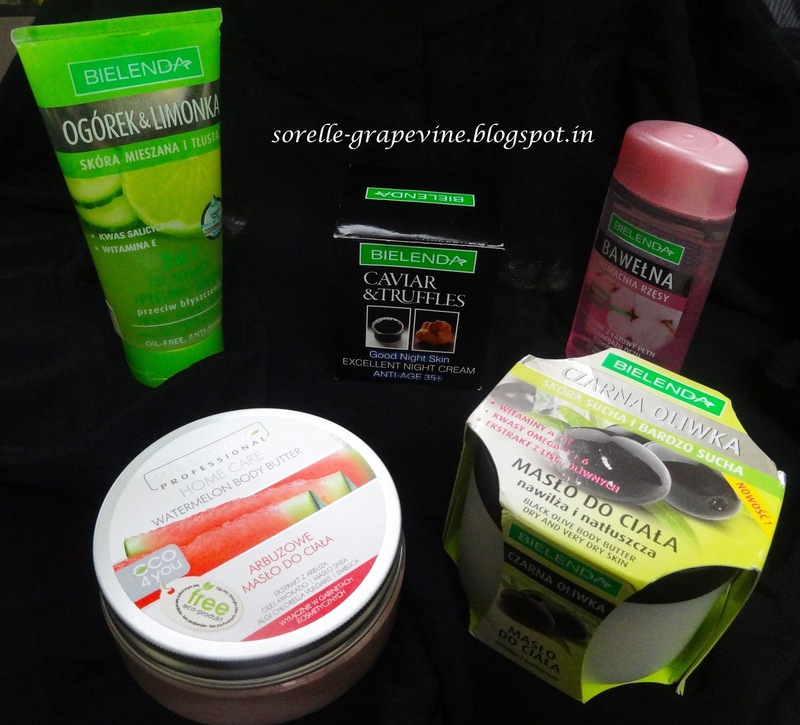 Today I’m going to talk about one of the brands that I discovered there – Bielenda. A company from Poland these people already have an Indian presence and had some really awesome looking stuff laid out in their counter. They carry two main product lines primarily – Professional & Retail which are self explanatory from the names. Now under these two they have a huge collection of items available which will have your head spinning. I picked up the retail catalog only and am staggered by the amount of stuff that they have. “Bielenda is a modern company that provides innovative solutions based on innovative ideas of our technologists. 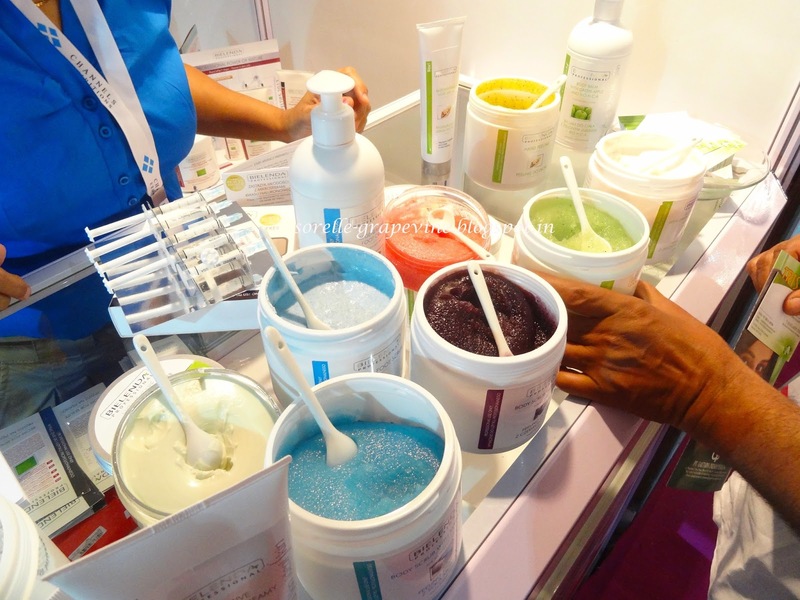 Produce the highest quality natural cosmetics for face and body. We are proud that we can stay ahead of trends in domestic cosmetics market, and our products are very sympathetic the next generations of consumers. 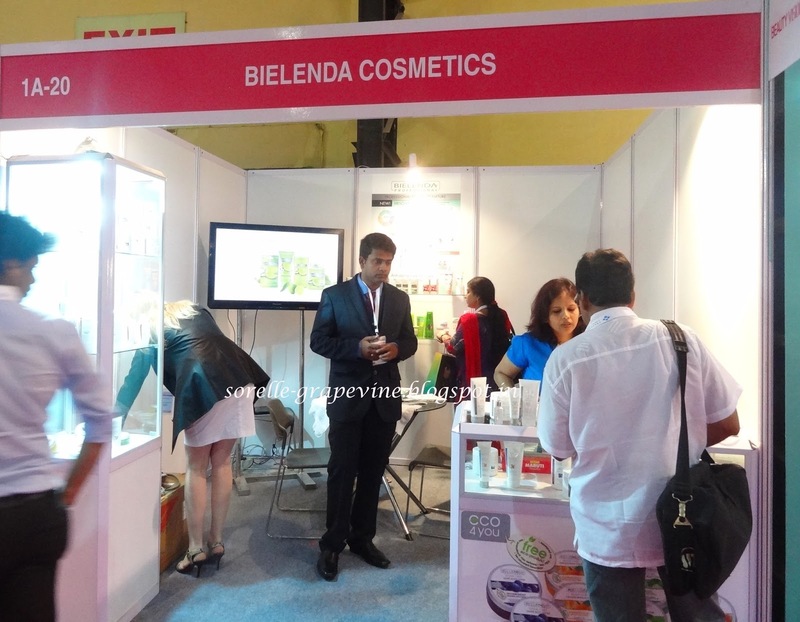 Bielenda has started its new venture in INDIAN Market. 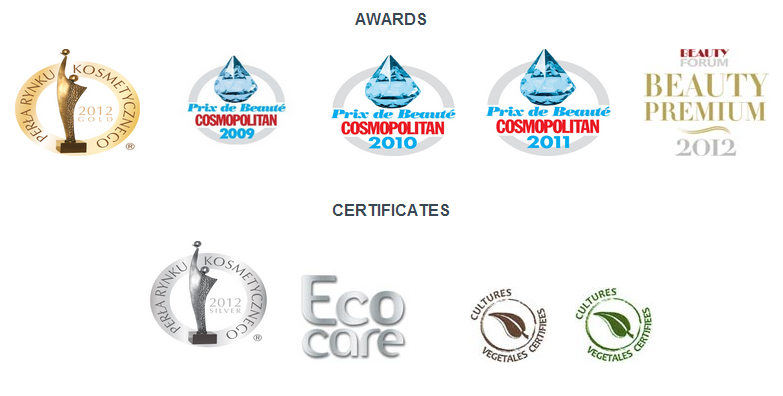 Our company is distinguished by the innovative use of the natural beauty of the most valuable commodity. 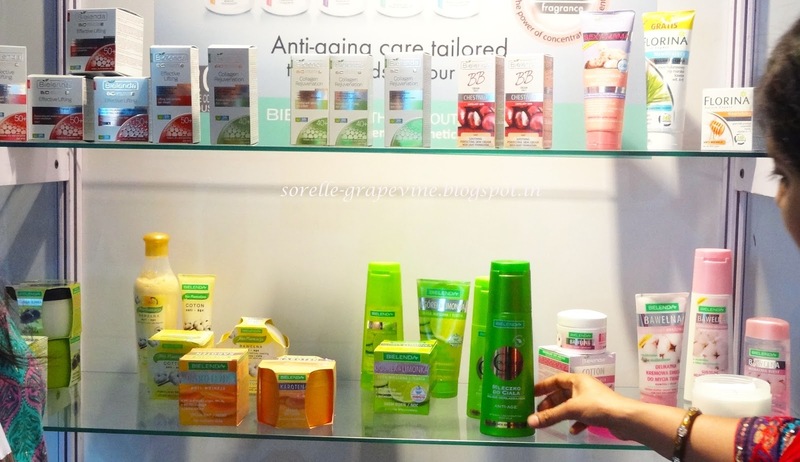 With its unique approach to beauty care have gained a significant position in the European cosmetics market and strive to achieve the equally strong presence in foreign markets. Now the company has to offer about 400 cosmetics. We produce: creams, lotions, scrubs, lotions, toiletries slimming, tanning cosmetics, intimate hygiene preparations, depilatory preparations, hair care and styling, and aromatherapy bath oils. The company also has its own line of professional cosmetics Ideal Skin facing wellness centers and beauty salons. This part of the activities of the company is developing more rapidly. Bielenda Company organizes training, has been taking care of more and more wellness clinics and makes the relevant authority certificates. 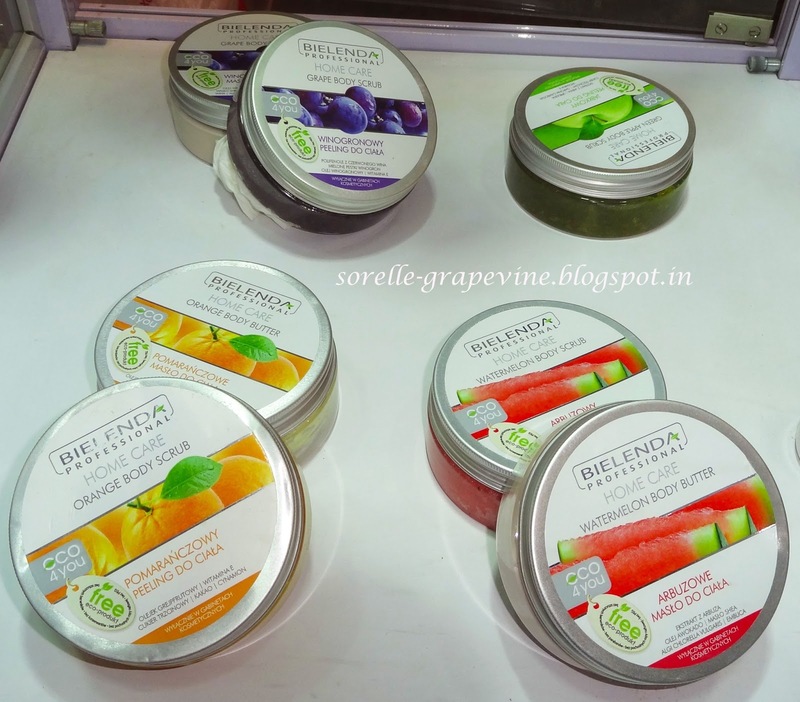 Going back to the exhibition, they had laid out these big jars or body scrubs which not only looked yummy but smelt like it too…..from watermelon, to green apple, to grapes etc each one looked more tempting than the next. You could try em out as well. 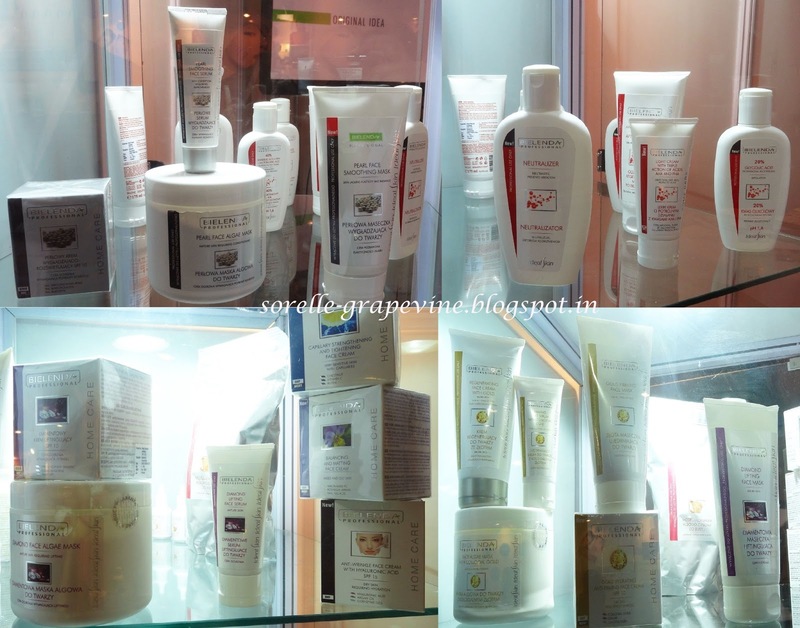 Since they were meant for professional use ie for salons a big tub of scrub was priced at Rs.2500-3000/- range. Each body scrub is targeted for a specific condition and has an accompanying body butter to go with it. For example watermelon is targeted for cellulite so both products used together will help to get rid of your problem. Not only that they have different ranges catering to all skin types like Cucumber & Lemon (Oily/Combination), Black Olive (Very Dry), Chestnut (Mature) and so on and so forth. I will run out of patience writing it all but I’m sure their line would go on 🙂 They have products catering to body care like personal hygiene and firming creams. Not only that they have something called the 7D line targeted for aging skin and have 3 version in it – 30+, 40+ and 50+. Phew like I said they have a LOT of stuff and I have not mentioned the tip of the iceberg. They were sweet enough to give me some samples from their professional line to try out and apart from that I picked up a certain amount of products which I wanted to test (aka I paid for em but I got a 30-40% discount so yea!!). Products that I bought were – Eye makeup remover from Cotton line, Body Butter from Black Olive line, Good Night Skin Excellent Night Cream from Caviar & Truffles line, Wash gel + Scrub + Serum from Cucumber & Lemon line and Watermelon Body Butter from Professional line. 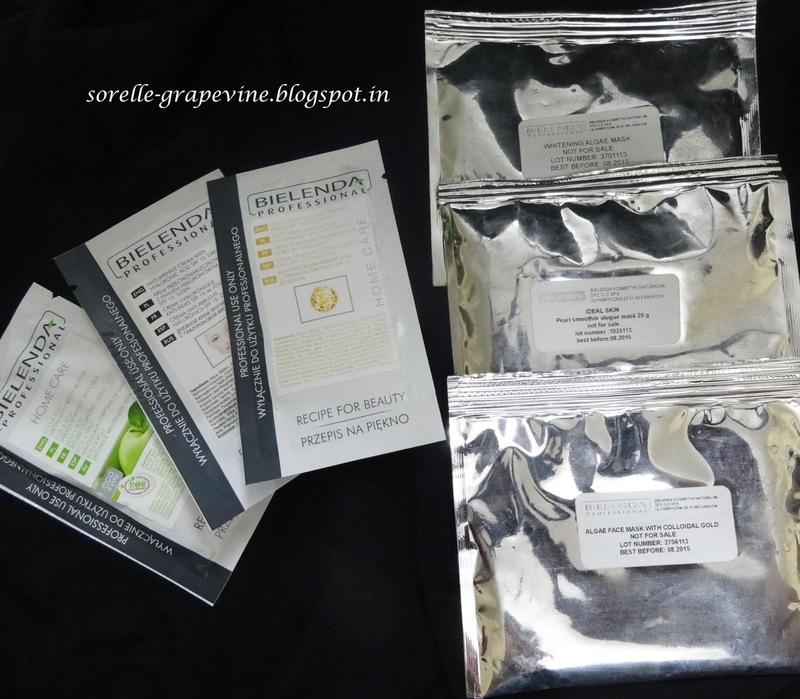 The samples are – Green Apple Body Butter, Gold Hydrating & Firming Cream, Anti-wrinkle Cream with Hyaluronic Acid, Whitening Algae Mask, Pearl Smoothing Alugue Mask and Algae Face Mask with Colloidal Gold. That is a whole lot of goodies to dig through and let me tell you they all smell amazing. I especially like the smell of the Caviar & Truffles cream. Cant wait to see how they fare during product testing. Hope I will find something really good from their line. I’m so excited – are you? Keep watching this space for more updates and detailed reviews on the mentioned products in the near (hopefully) future. See ya!